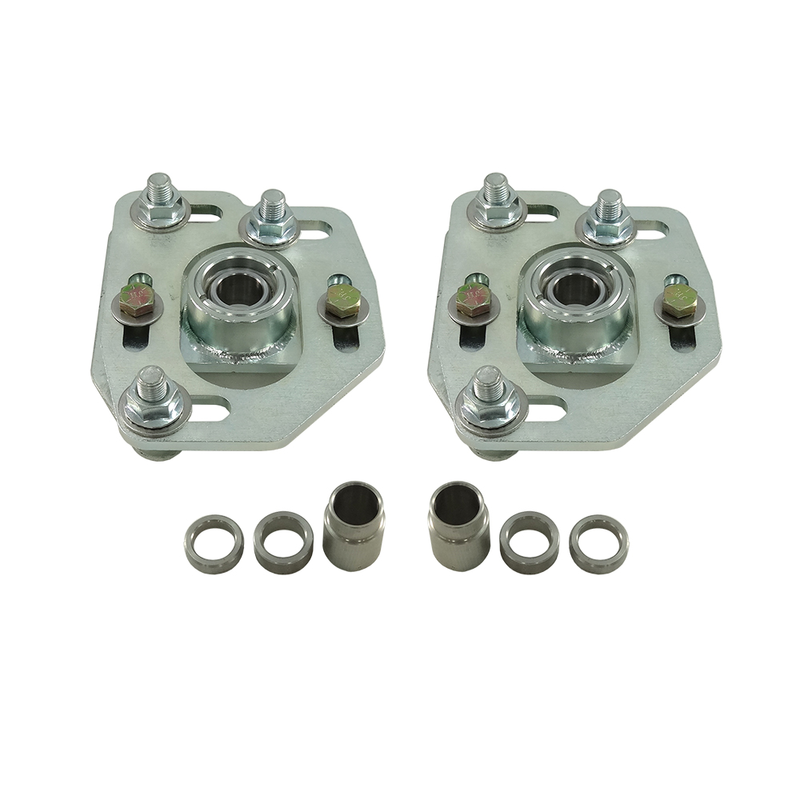 UPR announces the additions in their performance line of 90-93 Mustang Steel Caster Camber Plates. Our caster camber plates replace the stock flexible rubber strut mount bushings allowing you the ultimate control of the suspension geometry. Priced as an affordable option to our Billet Caster Camber plates while retaining a high quality product. Features Tig welded construction, Teflon lined bearing, Stainless steel bushings spacers and is Zinc plated for a durable yet clean finish. 1990 1991 1992 1993 GT V8 Mustang Steeda Roush & Saleen Vehicles. No one else can stack up to the bold clean styling of our aftermarket Billet dress ups, Street Strip & Racing Suspension & Performance Parts for your late model American Muscle Car!